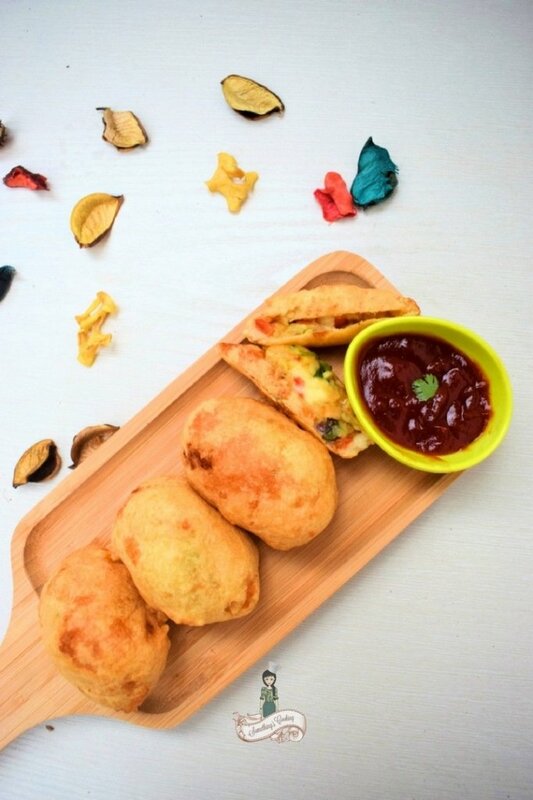 Bite through the crispy outer layer of the Grenades and the warm potato gooeyness explodes in your mouth! “Chai ke saath grenades khaoge, Sahib? (Will you have grenades with your tea, Sir)“, asked the cook. I was in utter shock the first time I heard this. Because I knew his love for machines, arms and guns are eternal and beyond words. And did the cook just ask him if he’ll have a bomb for his evening tea? What’s going on? Any Armed Forces Officer is pretty sensitive towards their guns and rifles and it is a personal weapon to them- a best friend in times of trouble. They have undoubtedly mastered the art of handling the weapons and equipment having been trained, firing them from different positions in difficult situations and conditions. They are also crazy about their vehicles as they are trained to drive them, be it a gypsy or a heavy loaded truck, be it in the high-ranges on the foothills of Himalayas, or the arid deserts of Rajasthan or the snow-clad mountains of Leh- they do it with ease and style. I guess I needn’t talk about their crazy fascination towards Royal Enfields- the Bullets! Yeah, don’t get me started with that one! Anyway, it seemed that the cook was asking about Potato bombs which by the way, is an edible thing. If you’ve leftover mashed potatoes and is wondering what to do with it, I’d say this is a great option. 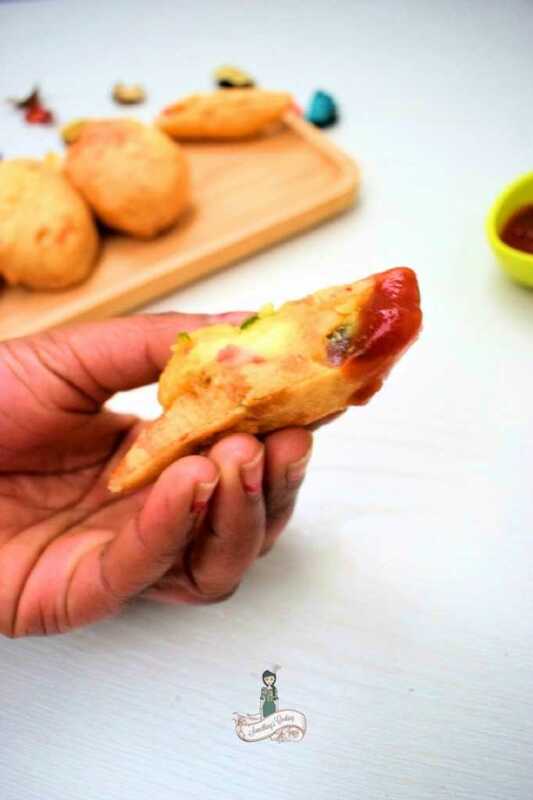 All you’ve to do is making a filling with veggies of your choice and/or meat, add a cheese cube, wrap with a soaked bread slice, coat with a batter and fry. Voila! Your comfort food is ready! Heat oil in a pan and add onion and green chilies. Saute till it is soft. Add tomatoes, salt and pepper and cook till mushy. Add the grated and mashed potatoes and mix well. Cook for a couple of minutes. Remove from heat and add chopped coriander leaves. Mix well and let it cool. Mix all the ingredients for batter and beat to a smooth batter. Add a little water if required. Dip a slice of bread in water, place it on your palm and press your other palm over this to squeeze out the water. Add a tbsp of the potato filling and a cheese cube and wrap the moistened bread around it. Shape up the grenade. Dip the grenade in the batter and deep dry till golden brown. Repeat the process to prepare more grenades. Serve hot with tomato ketchup and chai. You can add finely chopped veggies and cooked chicken or bacon in the filling. Grenade is as catchy a name as it can get! They are like cutlets we make…it has all you mentioned. Anything with potato and cheese is a win-win for me…these look absolutely yum! 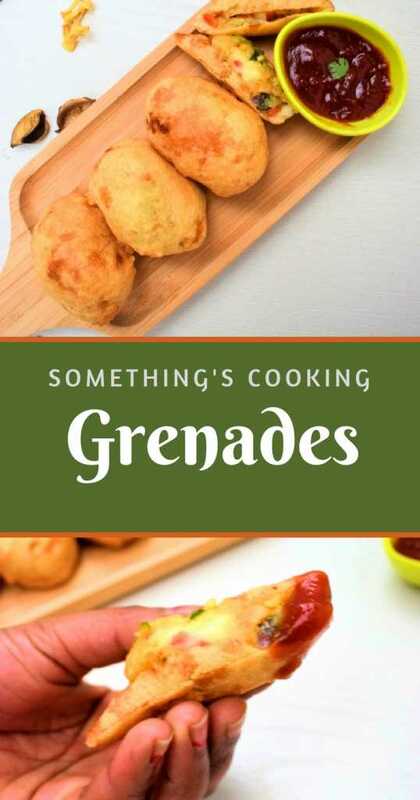 I made these grenades often, only that I call it potato cutlet and fry it after coating them in bread crumbs. It sure is delicious! 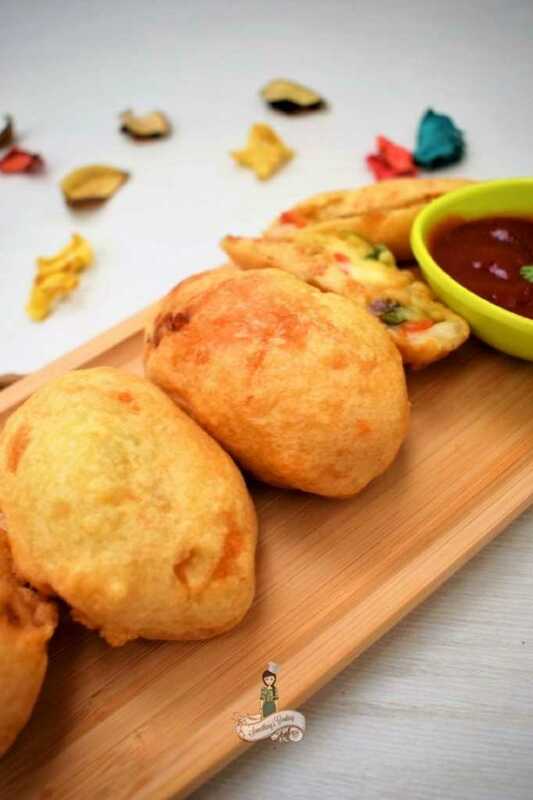 Who does not like potato bombs? Sigh. Too bad I have to avoid potatoes. Yummy! The Royal Enfield is a wonderful bike! I love your army stories as much as I love your recipes. 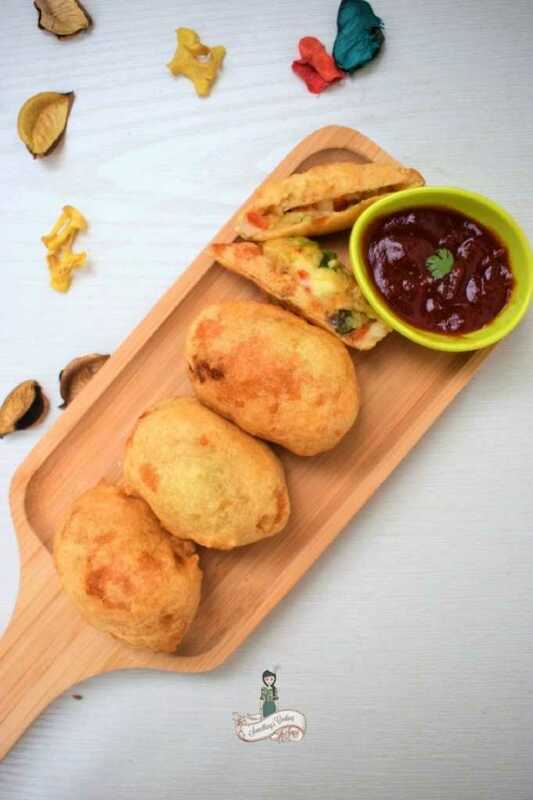 I also make this particular fritter, however, I obviously do not call it grenade 😛 I also add mozzarella cheese to it. Love the name for the bread rolls. I use besan for batter, never used APF. Will try it next time with APF. It sounds – and look! – good. We have something not very different here in Italy, though we don’t really mix vegetableinto the popatos, but rather put a filling in the centre of the ‘bomb’. Filling can be of any kind: meat, cheese, vegetable. 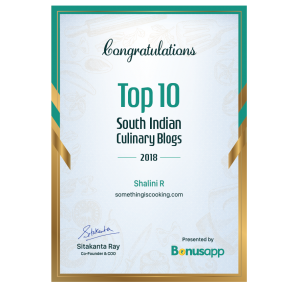 Thank you for this simple and awesome recipe, Shalini! I don’t mind if they explode in my stomach with all that flavor! 🙂 This will be tried soon.